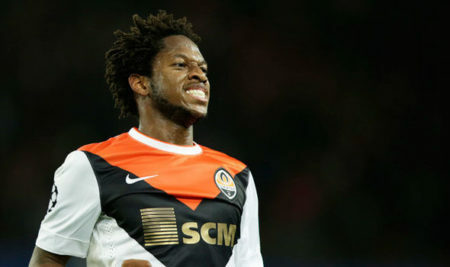 Manchester United are confident of signing Brazilian midfielder Fred this summer. We have reportedly had a protracted struggle with Manchester City for 25-year-old, but Pep Guardiola has more recently turned his attention to Jorginho, thus clearing the way for Jose Mourinho to complete a deal for Fred. Daily Mail are reporting that United have agreed to pay Shakhtar Donetsk an initial fee of £43M to sign the player, but the value of the transfer could rise to £52.2M if the player performs well at Old Trafford. Personal terms seem not to be a problem here, as further reports suggest that Fred will be undergoing a medical in London this week. After being named in Tite’s 23-man World Cup squad, the Belo Horizonte born player now has the challenge of displacing world-class midfielders such as Casemiro, Paulinho, Renato Augusto and – though we hate to say it – Fernandinho. Fred is understandably eager therefore to decide his future before the 10th June, when his national side play their final friendly match in Austria, before kicking off the campaign in Rostov against Switzerland a week later. Fred’s imminent arrival represents a statement of our intent to mount a serious Premier League title challenge next season. The Daily Mail report that Jose Mourinho is confident of sealing Fred’s transfer to Old Trafford despite a possible hike in transfer fee. Our fans are roundly pleased about this deal, with the Internacional academy graduate being highly rated in Europe after a stellar campaign in the Champions League. Here’s what fans have been saying on Twitter. Fred is almost done they say.. Though predominantly a central midfielder, Fred can also play as a defensive midfielder. His dynamism could help link defensive and attacking play, which was a problem last season. By extension, this move may help get the best out of Paul Pogba, which will be key to our chances next term.